Marjorie Signor (aka Marge), our mom, left this world in the early morning hours of August 12, 2016, escorted by angels (Luke 16:22) to her heavenly home as was promised to her by her Lord and Savior (John 14:2). 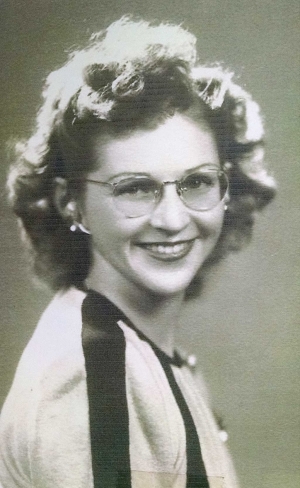 She departed from her home in Denton, Texas surrounded by her youngest son, Steve; her daughter-in-law, Debbie; her grandson, Justin; and granddaughter, Shelby, whom all had lovingly cared for her and our father after they moved to Texas in 2007. Born to Reverend Dana and Edna Dimmick on April 21, 1923, in Beach Lake, Pennsylvania, our mom shared her childhood with her two brothers, Howard and Paul, and her sister, Alice. Their love for each other endured and extended to their families throughout their entire lives. Marjorie was a “daddy’s girl” and followed her father around as much as she could. In her words, “I never outgrew Dad’s love.” His duties as a pastor during the great depression in rural areas often involved long days visiting churches and church members in their homes with little monetary recompense in return. And the whole family went along. Our mom learned to be thankful for what they did receive (Ephesians 5:20) and helped her father and mother cultivate and harvest most of their food from their family garden, which they canned and stored in their cellar for use all year. She was taught to be frugal with all things perishable and to conserve whatever and wherever she could. She learned to sew, darn and knit which served her well all her life. She learned resilience, as she moved to a new home almost every two years because of the requirements of her father’s Free Methodist calling. In the summer of 1941 our mom attended a Methodist camp meeting where she met her future husband, Allan Signor. Since they lived quite a distance from each other, they corresponded primarily by letter with a visit here and there. On September 6, 1942, our mom chose to be baptized (Matthew 3:11) by her father as a profession of her faith at his church in Kingston, New York. Our mom and dad loved each other from day one and were married by her father on Valentine’s Day, 1943, when Allan came home on leave from the U.S. Navy, which he joined shortly after he graduated from high school due to the Japanese attack on Pearl Harbor. In their first decade together our mom and dad begat three sons: Allan, Gene and Steve, in that order. They reared us in the manner they both had been reared by their parents. These words were etched in plaques that were displayed in our home: “A wishbone aint as likely to git ye someplace as a backbone” and “The early bird catches the worm.” They taught us to arrive early, not late, and do our best in whatever endeavor we chose. When our father retired from the U.S. Navy after 20 years of service and he seemed a little uncertain which new employment path to follow, our mom encouraged (pushed, supported) him in a direction that led him to a U.S. Civil Service job that he enjoyed for 23 years. Our mom, for most of her married life, was a stay at home mom. She kept a tidy, neat home and always welcomed visitors, friends and relatives. She and our dad made many friends throughout their lives and they continuously corresponded with many of them. Our friends were always welcome at our house and in our teenage years many of our friends would come visit our parents even when we weren’t there. Our mom had a will of determination and despite her small physique had great physical strength that she exhibited into her 90’s. We boys recall many times how our mom moved heavy furniture around in the house all by herself while we “he-men” were at school or work. Our mom wrote prose and poetry and painted as well. But, what she really excelled at was record keeping. She kept records of almost everything! We boys have 57 loose-leaf albums of our family’s lives together: love letters, monthly budgets, pictures, cards, written recollections of their lives, the list goes on and on. These are treasures! Our mom and dad got really interested in the genealogy of both sides of their families and they traveled all over the country visiting historical sites, libraries, cemeteries, government records offices, churches and anywhere else they could find information that would fill in the gaps. One year, after a lengthy trip around the country they invited us boys and our families over to view their slides of their trip. After looking at numerous slides of headstones, markers and other signs, Allan queried, “Do you guys ever take a vacation that involves the living?” We haven’t yet counted the volumes of genealogy records they accumulated. Also treasures! After our dad went to heaven in January 2008, our mom lived across the street from Steve. As she was now a widow after almost 65 years of marriage, like she did almost every year, she sent out a Christmas letter a couple of years later to all of her friends and relatives in which she expressed how much she missed her husband. This prompted a phone call from John Hallman, who, along with his wife, Judy, had maintained a friendship with our mom and dad for more than 50 years. John told our mom that his wife had also gone to heaven and he was living alone in a house he built in Ohio. They developed a loving, long distance relationship, by phone and letters, which we boys believe helped to give them both added comfort and purpose to continue their lives without their spouses. Our mom was preceded in death by her parents; her brothers and sister; her daughter-in-law Shelley Signor and many other extended family members. She is survived by her son, Allan Jr. (wife Patricia and their daughter Jessica Siedenburg (husband Michael and their three sons, Zachary, Noah and Caleb) his stepdaughter Maryanne Olson and her children Samantha and Zackery Olson; son Gene and his daughter Kerie Naugle (husband Greg and their children Aaron and Rachel); his daughter Kimberley; his stepson Justin Socia; his stepdaughter Kaylen Rodriguez (husband Bobby and their daughters Haku and Bella); son Steve (wife Debbie and their children Justin and Shelby). According to our mom’s wishes, her ashes will be placed next to her husband’s ashes in a columbarium niche at the Dallas-Fort Worth National Cemetery at a time in the near future. 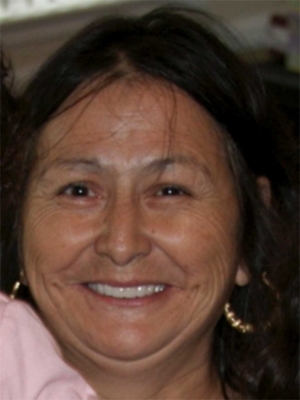 Elisa G. Gonzalez, 77 passed away on September 5, 2016 in Salinas, CA. Elisa was born in Tepatitlan, Jalisco on January 31, 1939. She is survived by her husband Urbano and children Silvia Lucero, Leticia Gonzalez-Ponce, Rosalba Viera, Ricardo Gonzalez and Lucila Gonzalez and was predeceased by her son Joel Gonzalez who passed away in 1979. Mass services were held in Fillmore, CA at St. Francis of Assisi Church on September 14, 2016 and followed by burial at Bardsdale Cemetery since the family had lived in the Piru-Fillmore area for 39 years. All of the children are Fillmore High School graduates. Arrangements were under the direction of Skillin-Carroll Mortuary, Fillmore, CA. Ralph Rees, our beloved father, husband, brother, grandpa and friend has gone home to be with Jesus. He passed away at midnight on Saturday, September 3, 2016 at home, after a long struggle with cancer, with his family by his side. He is survived by his loving wife of sixty six years, Patricia (Young) Rees, his sister Roberta (Rees) Gragg, his children Janine (Bill Faith) Rees, Wendy Rees, Robin Rees, Jason (Bethann Buddenbaum) Rees, and Brady (Ina Rosales) Rees, his grandchildren Luke, Hannah, Nathan, Tara, Nora, Claire, Emma and Fiona, and five great grandchildren. Ralph was born on Feb. 17, 1926 in Taft, CA to Helen (Allison) Rees and Ralph Winfield Rees. He is preceded in death by his sisters Joy (Rees) Hanrihan and Geraldine (Rees) Schwocho. Ralph spend his boyhood in Oildale and Bakersfield, CA, where his early interests included carpentry, Boy Scouting, hiking and fishing in the Sierras with his father and friends, and playing the saxophone. He continued to pursue these interests throughout his life. Ralph served in the US Navy towards the end of the WWII conflict. He later went on to earn a teaching degree from Cal State Santa Barbara under the GI Bill. After marrying his college sweetheart, Patricia Lucille Young in 1950, he started teaching in Mendota, CA. In 1953 he moved to Fillmore Union High School where he taught Industrial Arts until 1989. Ralph also earned a Master’s Degree in Industrial Arts Education. For the rest of his life Mr. Rees received compliments from many former students, grateful for the part he played in their lives. After retirement Ralph became a local “handy guy”. He was most proud of a project restoring a historic carriage for Rancho Camulos Museum in Piru, CA, where he volunteered until shortly before he died. Of primary importance in Ralph’s life was his relationship with God, which began when he joined the Boy Scouts at the age of 12. He was born again on January 8, 1976, and remained committed to his faith. His family will always be grateful for teaching them that they can do anything and to keep learning. He daily demonstrated his devotion to his wife, his love for his God and family, and his Boy Scout sense of decency. Visitation to be held at Skillen-Carroll Mortuary, 600 Central Ave., Fillmore, CA on Thursday, September 8 from 3:00 to 9:00 pm. Funeral Service will be at Heritage Valley Bible Church, 461 Central Ave., Fillmore, CA on Friday, September 9 from 10:00 to 11:30 am. Graveside Service will be held immediately following at Bardsdale Cemetery, 1698 S Sespe Street, Fillmore, CA. Reception to follow at Heritage Valley Bible Church. In lieu of flowers, donations can be made in Ralph’s name to New Tribes Mission or Fillmore Alumni Association. Also see www.skillencarrollfuneralhome.com for more memorial information. Patricia Ann Olsen, 66 year old Ketchum resident, passed away Saturday, September 3, 2016. Pat was born in Santa Paula, CA on September 25, 1949 to Dow Ed and Velma (Hunt) Mackey. On March 7, 1981 she was united in marriage to Larry Olsen. 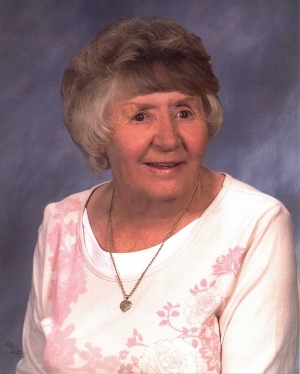 Pat enjoyed crafting, gardening, spending time with family and friends, and was an active member of Grace Point Methodist Church in Ketchum. Survivors include her husband Larry of the home, daughters Kacie Miller and husband Brady of Fredericksburg, VA, Krystal Flowers of Fredericksburg, VA, and son Kelly Flowers of Washington, one brother Michael Mackey of Bakersfield, CA, one sister Kathleen Fredline of Santa Paula, CA, and one granddaughter Jadynn Miller of Fredericksburg, VA. She is preceded in death by her parents. Our beloved mother, grandmother and sister Erma Herrera Vargas , passed away peacefully at home on August 24th 2016 at the age of 66 after a 3 year courageous battle with breast cancer. Erma was born on October 20th, 1949 in Santa Paula, California, to Manuel and Ruth Vargas. Erma lived in Fillmore her entire life and graduated Fillmore High School. She worked at Fillmore Citrus and soon married, after marriage, she opened an in-home daycare for many years, she also cooked and cleaned for the belated Father Luke Zimmer and the Seminarians here in town, she was also a care giver for 30 years until she was diagnosed with stage 4 breast cancer. Erma was a devout Catholic and her passion was praying the rosary and her special love were the Divine Mercy prayers. She loved Eucharistic adoration, confession, and Mass. Erma brightened the room when she walked in. Her laugh was contagious and was always very positive. A lot of people came to follow Jesus through her kindness and instruction. She was an outstanding cook, one year she devoted every Friday of lent to make pots of soup for all to enjoy in the parish hall after the Stations of the Cross. She helped any parish group that needed her and was an active member of the Guadalupanas and Rosary Makers. Erma was also a devoted mother and grandmother; she enjoyed spending time with her family, daughter Rosanna (Arnold) Muñoz and their children Bryan, Jocelyn, Matthew, and Mia, also her daughter Monique Cervantes and her children Tatyana, Hector, Natalie, Lailah, and Kayluhb. She enjoyed taking her grandchildren on Fridays to pray the Divine Mercy whenever possible and teaching them how to become closer to god. She also enjoyed cooking and baking with her grandchildren especially during the holidays. She loved attending her grandchildren’s games whether it’d be soccer or softball and was always on the sidelines cheering them on. 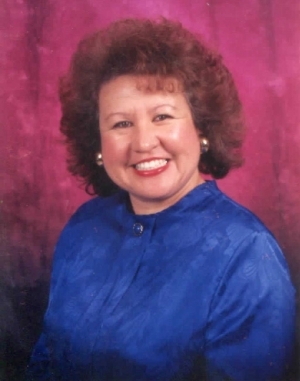 Erma is survived by her two daughters Rosanna (Arnold )Muñoz and Monique Cervantes, nine grandchildren, brothers Edward, Manuel, and Arthur Vargas, and numerous nephews, nieces, aunts, cousins, and godchildren. She is preceded in death by her parents Manuel and Ruth Vargas. The family would like to thank the oncology department staff at VCMC, Doctor Rosenberg and Doctor Larks for taking such a wonderful care of our mother, and Esther Taylor of the Jatamansi Center. And great big thank you to Ventura Convalescent and especially to their physical therapy department. Thank you to the hospice from Assisted Home Care. We would also like to thank all the wonderful volunteers that helped with the care of our mother throughout her last days at home and to her wonderful friends and compadres; you have been her support system for the past three years. May God bless you for being so good to our mother. Family and friends we invite you to celebrate our mothers life at St. Francis of Assisi Catholic Church 673 W. Ventura St. Fillmore, CA on Friday September 2nd 2016. Rosary will be recited at 10:30am followed by a memorial mass at 11:00am. Burial will follow at Bardsdale Cemetery in Fillmore, CA. Martha Jane Brozik, age 70, of Wilmington, OH, formerly of Fillmore, CA, died Thursday, August 11, 2016 in Wilmington, OH. She was born September 17, 1945 in Santa Paula, CA, daughter of the late Clinton Burchard Edwards and Willie Pearl Martin Edwards. She attended the Wilmington Church of Christ. Surviving are daughter, Melanie (Harley) Palmateer of Wilmington, OH, son, David (Cyndi) Brozik of Bakersfield, CA, six grandchildren, Amanda (Patrick) Willison of New Vienna, Sarah Palmateer of Grand Rapids, MI, Cory Brozik, Hayley Brozik both of Bakersfield, CA, Courtney Palmateer, Brittany Palmateer both of Wilmington, one Great-Grandson, Sheamus Willison; brother, Larry (Janice) Edwards of Santa Ynez, CA, sister-in-law, Rebecca Edwards of Winston, OR. In addition to her parents, Martha was preceded in death by a brother, Jim Edwards and an infant son, Clinton Thomas Brozik. Fisher-Edgington Funeral Home, Wilmington, Ohio is serving the family. Lois Marie Beem 77, Buellton, CA went to be with the Lord August 4, 2016. She was born February 3, 1939, in Livingston, Texas, the daughter of late Nancy Velvie and Don Knutson. Lois worked at Savon Drug Store in Ventura California for 12 years. She volunteered at the American Legion, Buellton Senior Center, Elks Lodge Visalia CA and attended church at Church at the Crossroads in Buellton, CA. Mrs. Beem is survived by her daughter Karen Davidson of Ivanhoe CA; daughter and son-in-law, Katherine Krska and John Krska of Santa Ynez, CA. ; son Michael Beem of Cameron Park CA; grandchildren, Billy Davidson and wife, Kelli Davidson of Stockton Mo; Bobby Davidson and wife, Sandra Davidson of Ivanhoe CA; Bradley Davidson, Ivanhoe CA; Anna Estramadura and husband, Leo Estramadura of Lancaster CA; Erin Krska of Santa Ynez CA; Sara Krska of Santa Ynez CA. ; brother, David Knutson and wife Lori Knutson, of Bakersfield CA; brother, Steve Knutson and wife Peggy Knutson, of Hamlin Texas. She also had 10 great grandchildren, Shyan, Kaley, Stephanie, Danielle, Dylan, Harley, Haley, Hayden, Elizabeth, and Cameron. Mrs. Beem was preceded in death by her husband, Donald E. Beem. Parents, Nancy Velvie and Don Knutson, Sister Helen Lister, and Brother Robin Knutson. A Celebration of Life Service will be held at Church at the Crossroads, 236 La Lata Drive, Buellton, CA 93427 on Saturday August 13, 2016 at 11:00 am. There will be a viewing at Skillin-Carroll Mortuary, 600 North Central Ave, Fillmore CA Sunday August 14, 2016 4-8 pm. Memorial will take place at Skillin-Carroll Mortuary, 600 North Central Ave, Fillmore CA Monday August 15, 2016 at 11:00 am. Graveside service immediately following at Bardsdale Cemetery, 1698 S Sespe Ave, Fillmore CA. Mary Ortega Rangel died peacefully on August 5, 2016 at her home in Sylmar, CA. She was 96 years old. Mary was the oldest of 12 children. She was born and raised in Piru, CA and remained close with her siblings and extended family throughout the years. At a young age, Mary began working for the Piru Citrus Association as a packer and grader where she worked for over 50 years. During that time, she met and married Lupe Rangel (also of Piru) and had three children. After retiring, she cared for dozens of nieces, nephews, and grandchildren who all adored her. Mary will be remembered for her lively spirit, witty one-liners and her tremendous hospitality. Her door was always open to family and friends. At home there was always a pot of coffee, a home cooked meal, an ice cold Coors, and friendly conversation. She will be missed dearly. Mary was a member of San Salvador Mission Church and the Sacred Heart Society. Mary was preceded in death by her husband of 75 years, Lupe; both of her sons, Jimmy and Eddie Rangel; her parents Ignacio and Amanda Ortega, and six of her siblings; Lupita Ortega, Esperanza Ortega, Jennie Ruiz, Ramona Golson, Joe (Wero) Ortega, and Victor Ortega. 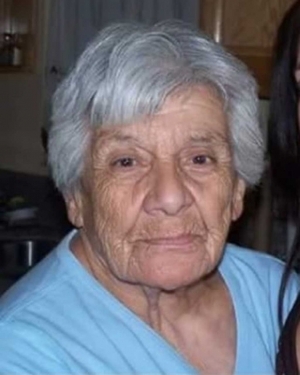 She is survived by her daughter, Sylvia Orona (husband Raymond) of Sylmar, daughter-in-law Lucy Rangel of Fillmore, siblings Consuelo Ruiz of Piru, Henry Ortega of Yerrington, NV, Delfina Ortega of Piru, Catherine Cervantez of Piru, and Angel Ortega of Fillmore, 11 grandchildren, 15 great-grandchildren, 4 great- great grandchildren, and dozens of extended family. A memorial mass was held at San Salvador Church on Wednesday August 10th followed by burial at Bardsdale Cemetery. 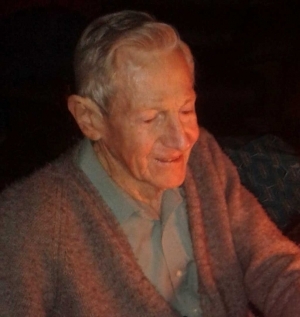 Leland “Lee” Southwick passed away July 19th after a brief illness, just two months shy of his 92nd birthday. Leland was the devoted husband of Veda for 68 years before her passing in 2014. Lee was born September 17, 1924, in Idaho Falls, Idaho, to James and Leona Southwick, the parents of seven sons. The family moved to Ventura in the 1920s and then moved to Fillmore in 1934, where Lee graduated from Fillmore High School in 1942. He married Veda Vest on March 21, 1946, and together they raised 3 children. After high school Lee was employed as a flooring installer for Ballard Furniture Store, and later accepted a job as roustabout for Texaco in the South Mountain oil fields near Santa Paula. He continued to work for Texaco for the next 33 years, moving up the ranks until he was Field Production Supervisor. Leland and Veda believed in being a part of the community. Lee began years of working with youth in the community as an assistant Little League coach, then as a head coach. He followed that by holding office as Little League Secretary, Treasurer and President. He also spent many years as a member of the Fillmore Booster Club and attended many Fillmore High School sporting events. After retiring in 1987, Leland and Veda enjoyed many excursions in their motorhome, making three trips from coast to coast. They developed a passion for travel, visiting relatives and sightseeing in every state. Leland also had many hobbies on the side, such as woodcarving, fishing, and was a very talented craftsman. He built the majority of the home where he and Veda lived for 50 years. Leland was a kind, gentle man, who was known as “the nicest guy” to everyone who knew him. He will be remembered as a loving father, grandfather and great grandfather. He will be missed by his daughter Diane Arundell and son-in-law, Jim, his daughter Barbara Thorn, his son Gary Southwick and daughter-in-law, Susan, and grandchildren Jamie Arundell Latshaw, Julie Arundell Grimstad, Robbie Burdsal, Marty Burdsal, Ryan Thorn and Stephanie Southwick Smith, along with 11 great grandchildren. Friends and family are invited to celebrate Leland’s life on Tuesday, July 26th, at 11:00 am at the Church of Jesus Christ of Latter-Day Saints, located at 1017 First Street in Fillmore. A private family service will follow at Bardsdale Cemetery. For map and directions to ceremony locations and to sign the family’s online guestbook, share stories and post pictures please visit our website: www.santapaulafuneralhome.com and click on Leland’s name located below “Recent Obituaries”. Reverend Beverly Ann [Washechek] Feltman,82, of Canyon Country,CA, went to be with her Lord on June 18, 2016 at 6:15 pm in Henry Mayo Memorial Hospital due to one heart attack and two strokes. Memorial service will be held at The First Assembly of God Church, 1501 7th Street [at Harding] San Fernando, CA 91340 on July 30, 2016 at 11 am, lunch following at the church with Pastor Philip R. Bigler of The First Assembly of God Church officiating. Reverend Beverly was born in Chamberlain, South Dakota to Ed and Margaret Washechek on March 19, 1934. Beverly went to high school at Chamberlain High School S.D. and graduated in 1952. Reverend Beverly played piano from age 4 [where she practiced on the kitchen windowsill] until May 20, 2016. Reverend Beverly was licensed with Assembly of God International Fellowship [Reverend Ted Lanes] San Diego, CA and also Miracle Ministries Christian Center, Canyon Country, CA. Reverend Beverly was at her height of glory when ministering in word and music to the shut in's. 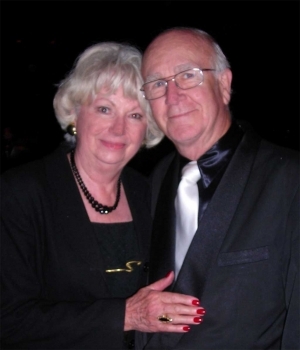 Reverend Beverly and Reverend Duane Feltman [husband of 63 years] had a full-time ministry spanning 25 years to nursing and convalescent homes throughout the San Fernando Valley, Arizona, New Mexico, Ohio, South Dakota, Wyoming, Washington and Oregon. Her last piano and ministry service was at Stoney Point Healthcare Center, Chatsworth, CA on May 20, 2016. Reverend Beverly was always at the piano along with Pastor's wife Vernita at the organ on Sunday mornings at the church. Reverend Beverly began her day at 4:30AM praying, reading and preparing her sermons. Reverend Beverly received many dreams and personal revelations from the Lord. In her final days in the hospital in clear English she continually expressed her love for Jesus and gave God the glory astounding the Doctors. Some of her favorite verses were Psalms 23:1-6, Psalms 102:16, Colossians 3:1-4, Isaiah 61:10,11, Deuteronomy 6:5. Reverend Beverly was appointed Inspector for 28 consecutive local and municipal consolidated elections for the county of Los Angeles, CA and the city of Santa Clarita, CA. Reverend Beverly is survived by her husband, Reverend Duane Feltman, her daughter Reverend Susan Waldrop, Granddaughter Priscilla Soltero, Grandson Adam Waldrop, two Great Grandchildren Angelina and Sol Soltero, all of Canyon Country, CA., her brother Charles and Char Washechek and several nieces and nephews. She is preceded in death by her father and mother, Ed and Margaret Washechek, brothers Dean and Don Washechek, and sister Mary. Memorial donations may be made online at Miracle Ministries at www.miracleministrieschristiancenter.com or regular mail to Miracle Ministries, attention 'Beverly', P.O. Box 1842, Canyon Country, CA 91386. 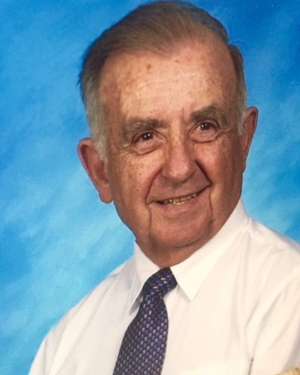 Calvin Deeter, a longtime resident of Fillmore for almost eighty years, passed away peacefully at his home on June 24, 2016. Calvin was born in Woodward, Oklahoma on October 9, 1929. In 1933, his parents moved Calvin, his twin brother Alvin, and his older brother Bill to Van Nuys, and eventually settled in Fillmore in 1938, and started raising turkeys. The iconic Deeter Turkeys was widely known throughout Ventura County and enjoyed by generations throughout the holidays. Following graduation from Fillmore High School in 1947, Calvin worked on the turkey farm before joining the National Guard in 1948. When the Korean War began, the 40th Infantry Division was among the first to be mobilized into combat. Before leaving for South Korea, he married his high school sweetheart, Lavonne Whiteley on February 3, 1951, while home on a weekend pass. In 1951, Calvin was serving as a crew chief for his unit when a bomb exploded and he was hit several times from shrapnel. Calvin was honored with a Purple Heart. The young couple settled on the turkey ranch and in 1954, welcomed their first daughter, Debbie. Seven years later, another daughter, Julie blessed the couple and their family was complete. Calvin eventually took over the turkey ranch raising roughly 20,000 turkeys annually with the help of many family members and local residents. In the mid 70s, Calvin began another career, a contracting business before retiring in 1990. Throughout the years, Calvin was dedicated to the community where he generously donated his time. He was also devoted to his church, Fillmore Presbyterian (Fillmore Bible Church) where he taught Sunday School for many years. Later Calvin and Lavonne became members of The Presbyterian Church in Santa Paula where Calvin was an active and a devoted member. Calvin had many hobbies including bridge, hiking, fishing, and camping. However, his biggest passion was boating. 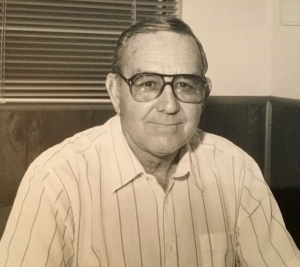 Many wonderful years were spent water-skiing and house boating with family and friends at Lake Millerton, Lake Shasta, Lake Havasu and, their favorite, Bullards Bar a special lake where Calvin and his family enjoyed their annual vacation. Calvin is proceeded in death by his parents, wife Lavonne, daughter Debra (Patterson), twin brother Alvin, older brother Bill, half sister Bernice and great-grandson Matthew Johnson. He is survived by daughter Julie Hackney, son-in-law Brian Patterson, granddaughters Charity (Patterson) Chapman (Jason), Rebecca (Patterson) Johnson (Daniel), grandsons Caleb Hackney and Ethan Hackney, six great-grandchildren and numerous cousins, nieces and nephews. A memorial Service will be held on Saturday, July 9th at 11:00 am at Faith Community Church in Fillmore. Donations can be made to the Fillmore High School Alumni Association and The American Cancer Society. John James Toy, born October 10, 1949 passed peacefully at his favorite place – a small ranch in Fillmore, surrounded by people who loved him on June 12, 2016. John moved to Fillmore 20 years ago and was an expert all-around handyman. He helped many residents of the El Dorado mobile home park and was a wonderful friend to all. Everyone enjoyed his smiling face. He will truly be missed. He is survived by his long-time companion, Kathleen Brisby, with whom he lived. He is also survived by his brother Art Toy, niece Carissa, son John Toy, grandchildren Kimberly, Nick, David, Katie and great-grandchildren Nicholas, John and Haley. At his request there will be no service; he only asked to be remembered with smiles. Be at peace, dear friend. Ernie was born on November 7, 1935 in Rancho Sespe in Fillmore. Our heavenly father has called him home on June 4, 2016. He was a lifelong resident of Fillmore and raised his family in Piru. He served in the US Marine Corp and was self-employed with Sunshine Lawn and Garden for 30 years. He was a very hard worker and always kept busy. Ernie was a good provided for his family and friends. He loved socializing with everyone he came in contact with and was loved by all. His favorite past time was spending time with his great-grandson Isaiah. He had a large family and loved them all. He will be missed by who knew him. He is preceded in death by his sons Ernie R, Dennis C and Matthew. He will be blessed to see them again. He is survived by his loving wife of 56 years Bella, beautiful daughters Shannon (Jerry) of Fiddletown, CA and Adeline (Jim) of Kirkland, WA three sons David, Matthias and Andrew (Corina), 28 grandchildren, 33 great-grandchildren and 5 great great-grandchildren, two brothers and three sisters. Rosary will be recited at St. Francis of Assisi Church in Fillmore on Friday; June 17, 2016 at 9:30am with Funeral Mass following at 10:00am and Burial following to Bardsdale Cemetery. On Friday, May 27 th , 2016, surrounded by loved ones, Dolly’s long, courageous battle with cancer came to an end as she entered into the arms of her Heavenly Father, where she was reunited with her earthly father whom she cherished. Dolly was born in Santa Paula, CA on November 15, 1961 to Arthur & Inez Morua. She was the fifth of their six children. Starting at a young age, Dolly was a firm believer in Jesus Christ. And, she was the first in her immediate family to accept Him as her Lord & Savior. Dolly began a legacy of faith and made great efforts to spread the Gospel to all she encountered, which continued throughout her adolescence and adulthood. She was not a “holier than thou” kind of believer, however. In fact, Dolly is what her loved ones might call “a little rough around the edges.” She was honest, transparent & direct, but amongst that strong personality laid a heart of gold. If ever someone needed prayer, she was there. And, when she prayed – she PRAYED. The Holy Spirit would speak through her directly to your heart. She was anointed in her petitions and would always give God the glory & credit. Her heart was evident when it came to her family. Dolly devoted her life to her children and grandchildren. She did anything it took to display her love for them. Her dedication was undeniable. She never hesitated to sacrifice for their sake. As she would say, she was blessed to be a blessing. Dolly was a loving daughter, mother, grandmother, aunt, niece, cousin & friend. She may not have had hoards of earthly possessions, but she was rich in spirit & faith and had stored up a heavenly inheritance for her family through prayer petition. She is preceded in death by her beloved father, Arthur Morua Sr.; grandparents, Victor & Alejandra Morua and Maximillio & Aurelia Montoya; uncles, Richard Morua Sr., Rudy Morua Sr., David Morua Sr., Eddie Morua, Anthony Montoya & Edward Montoya; aunts, Connie Morua Garcia, Josephine Montoya-Wright & Florence Montoya-Contonerro; and cousins, Susan Morua, Rudy Morua Jr., David Morua Jr., Debbie Montoya & Kathy Montoya. 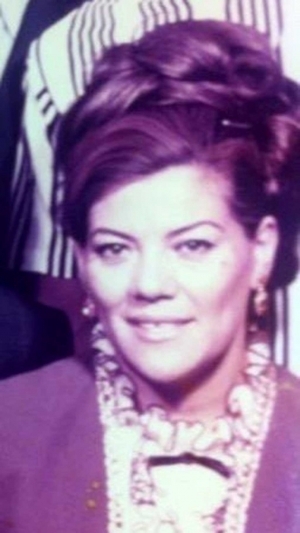 Dolly is survived by her mother, Inez Morua; siblings, Teresa Morua Torres (spouse Richard), Sydney Morua, MaryLou Diermier (spouse Richard), Arthur Morua Jr. (spouse Maria) & Alice Morua (partner Isaac Prado); children, Chastity McElroy, Robert McElroy Jr., Richard McElroy, Wayne Provencio Jr., Jaynessa Lopez, Angelic Murillo, Antanette Garcia & Alannah McElroy; grandchildren, Robert McElroy III, Andrea McElroy, Richard Ray McElroy, Ayden McElroy, Naomi McElroy, Jordan McElroy, Christopher Provencio, Summer Provencio & Jayce McElroy; her best friend, Terry Chewning; and, many nieces, nephews, aunts, uncles & cousins. On behalf of Dolly’s family, special thanks are given to the doctors, nurses & staff at Ventura County Medical Center in Ventura & Santa Paula Hospital, especially Dr. Mark Lepore for his compassion & friendship throughout Dolly’s battle with cancer. The viewing will be held at Valley Foursquare Community Church in Santa Paula on Sunday, June 5 th at 5:00PM. Funeral services will be held the following morning on Monday, June 6th, at 10:00AM at the before mentioned location, with a graveside ceremony immediately following at the Santa Paula Cemetery. Services have been entrusted to the Skillen-Carroll Mortuary of Santa Paula. A memory book is being created for Dolly’s family. We invite family and friends to post their favorite memories on the Skillin-Carroll website. Evelia Elisabeth Franco, 77, passed away at home on Friday, May 20th, 2016, surrounded by her sons, her daughter, and her husband. 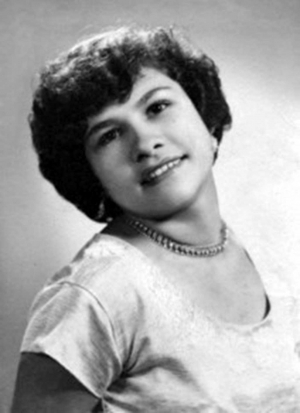 Evelia Elisabeth Carreon De Leon was born in Monterrey, Nuevo León, Mexico to her parents, Tomasa De Leon and Jose Carlos Carreon. Evelia, more commonly known as Elisabeth, also had a brother, Carlos Americo Carreon, with whom she was close. She arrived in the United States in August of 1952. Elisabeth met her husband, Angelo Gomez Franco, when she was 15 years-old and he was 19 years-old. The young couple met each other at a dance in Harlingen, Texas. When Angelo saw Elisabeth on the dance floor, he thought she was the most beautiful woman he had ever seen and proceeded to ask her to dance while in his Air Force uniform. They fell in love quickly and married two years later. The couple raised five boys, and one girl whose names are Jose Manuel Lopez, Richard Franco, Armando Franco, Arthur Angel Franco, Alejandro Paul Franco, and Margarita Deleon Franco. Unfortunately, she lost one of her sons, Richard, in 2013 due to health complications. Elisabeth was known for her unyielding humor and eccentric style. She often made her own clothes sequined with jewels that stood out almost as much as her lush persona. Her personality was both wild and contagious. No one could help but laugh at her often inappropriate jokes or be captivated by her spellbinding stories. She lit up every room with her movie-star like beauty and it was no secret that her husband, Angel, was absolutely captivated by her for their entire life together. Evelia Elisabeth Franco lives on in the hearts of her husband, her brother, her six children, her 11 grandchildren and eight great grandchildren, and the countless friends and loved ones whose hearts she's captured over the years. 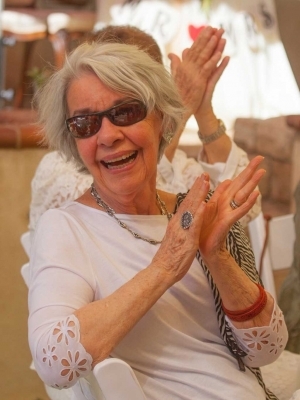 Her loved ones will keep her spirit alive by sharing stories of her wild and loving behavior. Although she is dearly missed, Evelia Elisabeth Franco lived her life the best way a life can be lived: the way she wanted and nothing less. Visitation will be held from 12pm-1pm, Saturday May 28, 2016 at Garcia Mortuary Chapel 629 South “A” Street Oxnard, CA followed with A Celebration of Life Ceremony at 1:30pm also at Garcia Mortuary Chapel. For map and directions to ceremony locations and to sign the family’s online guestbook, share stories and post pictures please visit our website: www.santapaulafuneralhome.com and click on Evelia’s name located below “Recent Obituaries”. With great sadness, the family of LeAnn DeLorto wishes to announce her passing on March 6, 2016 in Prescott, AZ with her lifelong caregiver and daughter, Marilyn DeLorto by her side. LeAnn was born the only child to George Byne and Daisy D. Victor on Dec 11, 1925 in Kansas City, MO. After graduating from high school, she enrolled in Pasadena College (Nazarene), from which she earned her Bachelor of Arts degree in 1949. LeAnn began her teaching career by student teaching in Moorpark in 1948. In 1954 she married Ralph J DeLorto and began a family while continuing to teach. She settled in Fillmore in 1965 and taught 4th grade at Sespe School until her retirement in 1977. Her passion during teaching was to help encourage learning to migrant students during optional summer classes and for students adept in art. Her second language was Spanish and she was an art enthusiast. She eventually relaxed into retirement to enjoy the active involvement of her four grandsons. She loved following each one with enthusiastic repose in their endeavors in life, which soon became their professional lives, marriages and two great-grandchildren, which kept her in awe. She loved keeping in contact with friends and neighbors, as well as their children, always wanting to know "what they are doing now" in detail! LeAnn was always the one to send hand written cards and letters to those she loved and cared most deeply about. She is preceded in death by her loving husband, Ralph J DeLorto, Sr., and stepson, Ronald DeLorto. She is survived by stepson Robert J DeLorto of Cusick, WA, sons Daniel DeLorto of Santa Paula, Tim DeLorto of Coeur d'Alene, ID, Byne DeLorto of Mt Shasta, CA, Ralph DeLorto of Prescott, AZ, daughter Marilyn DeLorto of Prescott, AZ, grandsons, Travis DeLorto, Jordan DeLorto, Christopher DeLorto and Robert A DeLorto, and two beautiful great-granddaughters, Tia and Ayla. LeAnn loved watching and listening to birds, earning her the nickname "Birdie". She will always be remembered and forever missed on this earth. May she forever rest in the everlasting love of Jesus Christ, her Lord and Savior. Private services were held in Prescott, AZ. 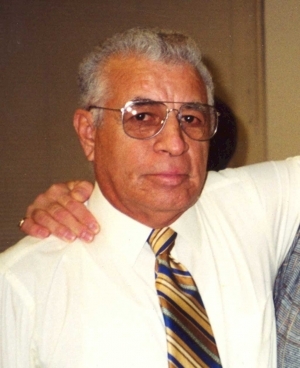 Luis Sanchez was born in Chicago, Illinois on July 22, 1924 and he went to be with the Lord on March 24, 2016. He left to Mexico at 9yrs. old and lived there until the age of 18. He then married the love of his life Rosario (Chaito) on Dec.2, 1953. He retired from Egg City in Moorpark in 1989 and lived with his family the rest of the years. He was preceded in death by his parents Maria and Juan Sanchez his sons Juan, Alfonso, Jorge, Javier, daughters Eva and MariaElena his brothers Jose, Elias, Santiago, Filiberto, Francisco and sisters Lupe and Maria and grandson Daniel of Mexico. Luis is survived by his loving wife of 65 years Rosario (Chaito) of Fillmore, daughters Evangelina of Fillmore and Alicia of Mexico. His grandkids Jessie, Alex, and Diana Sanchez and great grandkids Luis and Jesus Sanchez; brother Guillermo (Elpidia) sisters Ramona and Maria de Jesus, sister in laws Natalia and Chloe Sanchez and many nieces and nephews. He loved watching John Wayne movies going shopping and spending time with the grand kids. A mass will be celebrated at 9am Saturday May 7, 2016 at St. Francis of Assisi Church. 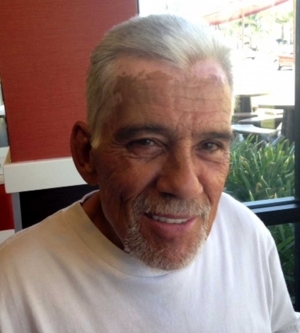 Funeral arrangements made under the direction of Perez Family Funeral home Camarillo, Ca. Potluck for celebration of life to follow at Greenfield Rest home at 118 B Street Fillmore, at 11am. Guadalupe (Lupe) H Rangel, died peacefully on April 17, 2016 at the age of 102 at home in Sylmar, Ca. where he had lived for the last thirteen years. Lupe was born in Santa Monica, CA, February 26, 1914. He lived in Piru, CA for over 80 years. During that time, he met and married Mary Ortega. They had 3 children. 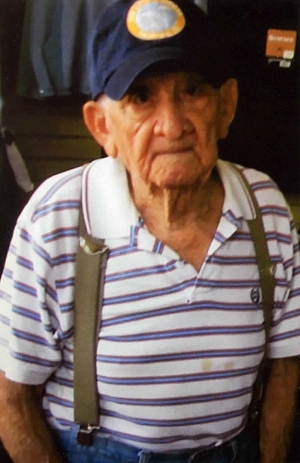 Lupe was a WWII Army veteran; and he was also a Cement Mason with the Local 600 for 56 years. His proudest accomplishment as a mason was that he had a hand in building Dodger Stadium. As a result, he bled Dodger Blue and never missed an opportunity to watch a game, even if it was a rerun. He enjoyed being outdoors, especially hunting, fishing and camping. 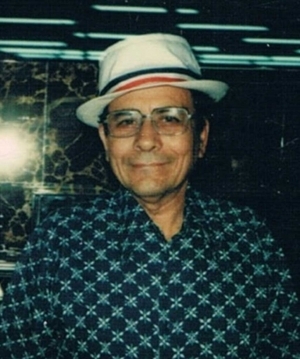 Lupe was always working on projects around home which kept him young in mind and soul. Lupe was preceded in death by his sons, Jim and Ed (Rangel) and his 12 brothers and sisters. He is survived by his wife of 75 years, Mary (Ortega) Rangel, his daughter, Sylvia (husband Raymond) Orona, daughter-in-law, Lucy Rangel, 11 grandchildren, 15 great-grandchildren, and 4 great, great-grandchildren. Funeral services were held graveside at Bardsdale Cemetery in Fillmore on Tuesday, April 26. “Our beloved Jenna transitioned on February 14th after a short illness. Jenna was surrounded by her whole family including her sister Shirley and her brother George. She shared in her final days “I’m a happy die-er”. A sketch of Jenna James seems to start with falling in love with love itself. Loving Kenneth, her children, grandchildren, great grandchildren, her collection of eccentric friends, embracing a zest for life, and a lifelong crush on the Beautiful. Her internal vision was always deeply attentive and welcoming of what each day would reveal. We all remember her laugh, her ideas about style and taste: funny & fierce…that’s our Jenna. Jenna and Her husband, Kenneth James moved to Santa Barbara in 1959. They celebrated their 70thanniversary in July, 2015. Jenna loved to garden, draw and paint and enjoyed taking classes in SB Adult Education. She spent many long walks around the city and ocean of Santa Barbara with Kenneth. She worked together with Kenneth to create Casa Plastering 1963, Casa Insulation 1974 & Santa Barbara Insulation 1978. In the early morning hours of April 12, 2016, Buck Basolo one of the last true cowboys of his generation, peacefully rode into the sunrise for the last time. Born Charlie DeWayne Basolo on 10-01-1927 to Charlie and Amanda Basolo, Buck spent his entire life in Fillmore, the town he loved. In fact, when Buck was born, his family lived in the same house he spent almost his entire life in, the same house he took his last ride from. Buck is preceded in death by his parents, Charlie and Amanda, his only sister, Maxine Basolo-Kenfield and a grandson, Michael Basolo. Buck is survived by his bride of 67 years, Joyce Krink-Basolo, his two children, Doug Basolo and Debby Basolo-Curnett (Tom Curnett), grandchildren Bryan Basolo, Kammi Basolo, Linzi Basolo-Bravo (Joe Bravo), Beau Basolo, Denae Curnett-Garrett (Dave Garrett), LeAnna Curnett-Thompson and great grandchildren Conner, Peter, Adan, Mia, Austin, Alice, Kyle, Emily and Greyson. Buck excelled in sports during and after his high school years and was inducted into the Fillmore High School sports Hall of Fame. He coached little league and was a mentor to many young baseball players. He was a member of the Fillmore Search and Rescue Team for many years. 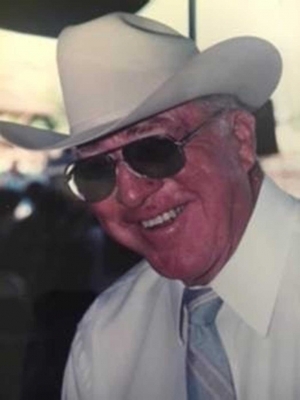 SP Buck was an avid outdoorsman who loved hunting, fishing, trap shooting and, most of all, he loved riding his horse and roping. There will be a graveside service on Monday, April 25th at 10:30 a.m. at Bardsdale Cemetary in Fillmore. A reception will be held following the service at the Piru Petroleum Club in Piru where friends are invited to share memories and celebrate Buck’s life. In lieu of flowers, please make a donation to The Fillmore Roping Club, Piru Petroleum Club or the charity of your choice. For map and directions to ceremony locations and to sign the family’s online guestbook, share stories and post pictures please visit our website: www.garciamortuaryoxnard.com and click on Buck’s name located below “Recent Obituaries”.